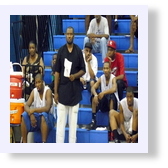 Salem State University on a Full Basketball Scholarship on May 22 2007. Mike Puckett was on the win column on 2005 when he was at Clinton Jr. in South Carolina which is a 2 year institution. of ASSIST Student Athletes and Mr. Copeland head women coordinator was at the event. Picture here is the the 2 signees Tyana Eggleston and Stephanie Whitacker . Also Mr. Carter Founder of ASSIST Student Athletes and Mr. Copeland Women's Coordinator and Spoke person of the program. The girls are signing their scholarships. ASSIST Student Athletes is sponsoring one of the six teams in the Tri-City Summer League that begins Tuesday at John Marshall High School at 6 p.m. Most, if not all of the names, should ring a bell as the teams features players not even two years out of high school. Tray Okoth is one. 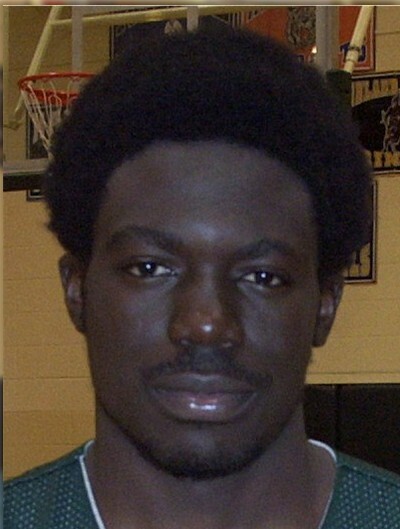 Okoth was the Central Region player of the year in the 2005-06 season and spent last season at Cleveland State Community College . The squad features eight 2007 graduates, six of them all-district performers, including Manchester 's Earl Gee, who is still unsigned at this point. Gee, a 5-10 point guard, averaged 22 points per game for the Lancers, earning second-team All-Metro honors. "I feel this will be a good experience for the student-athletes from ASSIST," said William Duron Carter, Founder of ASSIST. "This will be an opportunity for these guys to go up against professional players night in and night out. We are the youngest team in the league, so we have to run those older guys." The young guys from ASSIST have their work cut out for them in the Tri City summer league but this a learning experience fro these young student athletes who is preparing themselves for college. Pictured here is Lenny Daniels who sign a full ride to Coffeyville Community College going up the air in front of two tall trees. 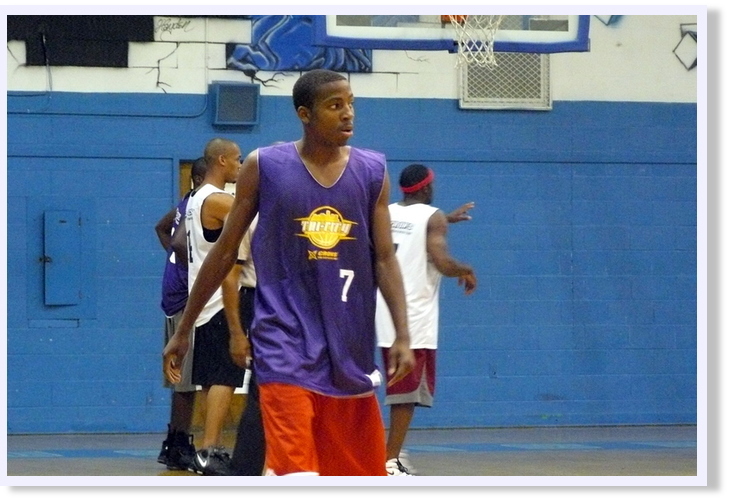 Junior Burrough former Virginia Cavalier and NBA Standout and Chris Moss formar WVU and currently playing oversees. Pictured Here is Aaron Mitchell who just signed with Manatee Community College on a full scholarship . Mr. Carter along with TJ Granger Fayetteville State Signee , Greg Grant Manatee signee and Earl Gee are looking at the action. Imagine just graduating from High School going into college and you have to go against Chicago Bull Great Ben Wallace. Well that what the student athletes of ASSIST had to do. They learn very quick because big Ben did not held nothing back . Picture here is NBA Standout Ben Wallace Chicago Bulls being guarded by Tray Okoth Cleveland State Community College Also Greg Grant Manatee Community College Signee looking to help. Team work is the key. The student athletes from ASSIST is on the huddle during a time out of the game. It's been five years since ASSIST, a program developed by former Huguenot basketball player William Carter, has stepped on the scene. Five years later, things couldn't be going any better. Carter, along with many volunteers of his non-profit program, have teamed with area coaches to help over hundreds of student-athletes in the Richmond-area achieve scholarships or gain aid in numerous sports. For example, his program, clinics and showcases have assisted girls basketball players like Monacan's Emari Ready (Lees-McRae), Mills Godwin's Brooke Long (Longwood) and Meadowbrook's Deja Middleton (Radford). Many of Carter's "wins" as his company calls it, go routes most kids don't think about, like junior college. One is former Matoaca star Calvin Lee. He went to Alleghany Community College, and now has signed with Towson. "We give credit to everybody," Carter said. "We just try to be some extra help. We give credit to the coaches, parents and students themselves for just working hard. We're just trying to be some extra support." Check out www.assiststudentathletes.com to find out more information and to contact Carter if you want to be scouted by him and his group. Thomas Dale's Kirk Jennings made it official Thursday by singing his scholarship to play baseball next year at the University of Virginia's College at Wise. The senior pitcher currently has a record of 3-0 and a 1.25 ERA for the Knights. Jennings also plays first base and will DH. He is batting .360 with a home run, seven RBI and six runs scored. "It's a great feeling, I feel like a weight has been lifted off me just because I have been stressing all year," Jennings said. "It's just good to finally know I am going to be playing next year. It definitely takes a lot of stress off." Thomas Dale coach Christopher Marshall has been very pleased with Jennings' performance so far this season. "I didn't know what I'd get from him," Marshall said. "He has really come through big for us. He is a senior leader for us and is a big presence on the mound and with the bat." The recruiting process began earlier this season after Jennings pitched well against Varina. "It started out when U.Va.-Wise came to my first game against Varina and I had a good pitching performance," Jennings said. "They talked to me than and then a couple of weeks later I went down to Wise and worked out with the team and visited the campus and I really thought it was the place form me. Then they called with the offer and I was ready to jump at it." Jennings also excels in the classroom and U.Va-Wise assistant coach Josh Scarbrough said that the admissions office loves when he brings players with grades like Jennings. School work will remain a top priority for Jennings in college. "Academically I want to major in education and become a teacher," Jennings said. "I just want to continue to keep my grades good and just be able to play baseball." Lees-McRae Head Women's Basketball Coach Sebastian Wild announced the signing of Amelia standout Nicole Jackson to a National Letter of Intent today. "We consider ourselves extremely fortunate to be able to add a student-athlete of Nicole's caliber to our upstart program," commented Wild. Jackson, a 5-foot-5 guard, had a stellar high school career at Amelia County High School. 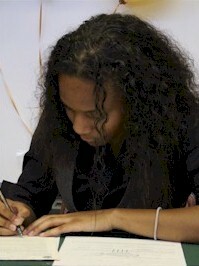 In addition to leading her team to four consecutive district championships and a number of regional appearances, she compiled numerous personal accolades.Jackson is a multiple All-District, All-Region, and All-State selection and has been the James River District Player of the Year for the past two seasons. During her senior campaign she averaged 23 points per game with six assists and five steals per contest, highlighted by a 45 point performance (including eight three pointers) which was followed up by a 38 point output. Nicole's impressive on-the-court resume is backed up by her outstanding academic accomplishments. Jackson has been an honor roll student in all four years of her high school career, as well as the president of the Honor Society and a member of the National Beta Club. 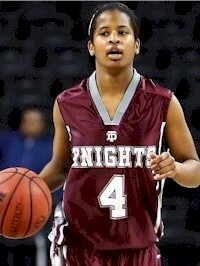 "Nicole is an outstanding basketball player with an extremely high basketball IQ and a very refined skill set. We know she can score the basketball, but her floor vision and passing ability, along with her defensive intensity, will give her the opportunity to be an impact player on both ends of the court immediately," stated Wild. "She will allow us to play at a much higher pace both ways. There is no doubt in my mind that Nicole will have a remarkable career here at Lees-McRae College. We couldn't be more excited," he added. ASSIST competed in the Tri City Summer League for the second year in a row with give the student athletes the opportunity to play against professional and college players . Schedule All games at George Wythe H.S. ** ASSIST's first win in team history. Virginia's top girls hoops prospects Girls basketball profiles! Talk about it in BASKETBALL - GIRLS AAA ASSIST Student Athletes hosted its 2nd Annual Women's "Back to School Showcase" at Chesterfield Community High School on Friday. The event drew approximately 35-40 college coaches, including coaches from Duke, University of Virginia, Howard University, Radford University, Longwood University, VCU, North Carolina A&T, and Elon, to name a few. Thomas Dale sophomore Ka'Lia Johnson was the star of the event! Founded by William Carter, ASSIST has the mission is to provide assistance to student athletes whose goal is to participate in intercollegiate sports. The organization has been in existence since 2003, working with boys and girls in all sports, including football, baseball, basketball and soccer. 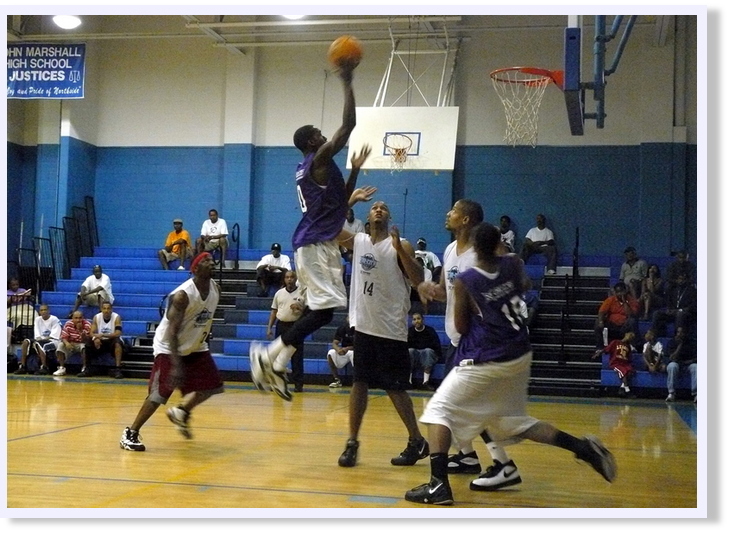 The event had approximately 80 prospects, playing on 8 teams of 10 players each. The potential prospects participated in drills and games, hoping to draw the attention of one or more of the college coaches in attendance. As the girls performed, coaches wrote notes into their "Coaches Packets". Noting the talent in the event, Carter stated, "The talent was real completive but it also gave student athletes who are under the radar the opportunity to showcase their talents."